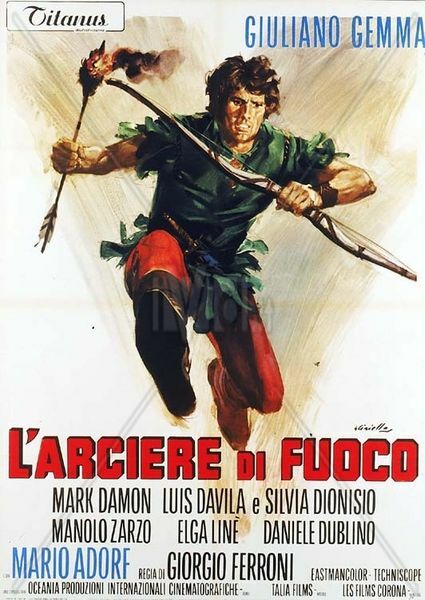 Description: Giuliano Gemma plays Robin Hood, Mark Damon is ‘Allen’ and Silvia Dionisio is ‘Lady Marian’. A fun film with stylish costumes that has Gemma as the heir to the Nottingham dukedom who is robbed of his heritage. He joins the already-established ‘Merrie Men’ and becomes their leader. The finale sees the traditional return of Richard the Lionheart.